Location test announced for Oct 12th - 14th. I see they combined and recycled the themes for REFLEC BEAT groovin’!! and BeatStream AnimTribe. I’ve always liked this design style. 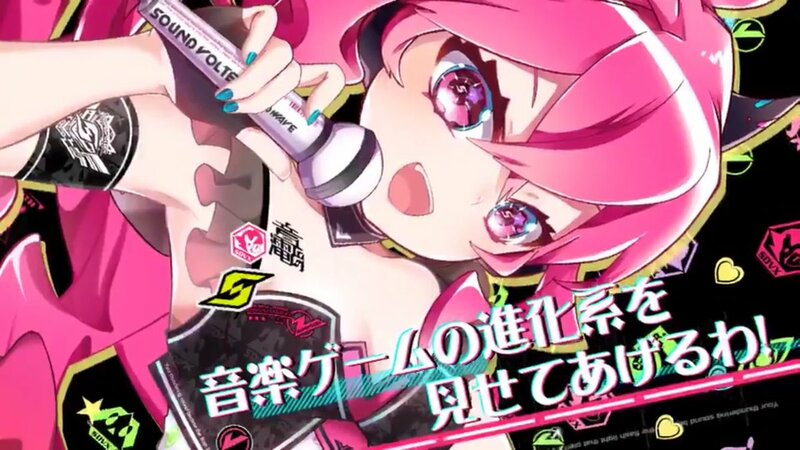 Not sure I like the idea of an idol-themed SOUND VOLTEX game. Hopefully it won't be too pushed in the final game. I’m a bit bored of the aqua theme of HEAVENLY HAVEN so I welcome this new game. So many new game announcements this year which is great for expanding song lists. Yo we idols now. This is good. Wait, what will happen to my game data? Ever since I've moved overseas, I've been unable to play the arcade version. As far as I know, unless I play the new version at least once, my data may be under the threat of being permanently deleted. I've been playing this game for 5.5 years since the days of SDVX Booth, so it wouldn't be the best feeling to have all that time and effort wasted. But I do have played the cloud version, and since the data is linked to the arcade version, will my arcade data still be preserved? Or is there any way to just preserve my game data at least? Oh, this one's gonna be nice. I like the design, too. Real pretty. Inb4 a SDVX V styled theme for Stepmania 5 will be worked on with the removal of idols. I can see what Konami is going for. I should have called it SDVX V: Idol Time for now. Pretty neat, never listened to Revolution, but it's lapix which is goodie. I want to see this song, very much. Will there be a SDVX Cloud IV too? I think part of the reason why SDVXIII cloud exists is because of the story mode. I'm hoping SDVX IV comes to E-Amusement Cloud at the same time SDVX V comes to cabinets. So far, the songlist looks pretty solid IMO. I specially like more lapix, Camellia and Sampling Masters. Also, there's the Pop Team Epic OP. What's this I hear about Booths of Fighters getting deleted?